The best moment in reading is when you come across something so beautiful, that it changes your view forever. That’s what history has done for me. History is our identity and creates a sense of uniqueness that defines who and what we are. For me, I take special interest in my hometown of Macon, Georgia. For years I have studied various architecture styles and how they are important to their time period. Most importantly, history is a fluid art form because it can be reinvented, modernized, and reborn. Through my findings, I began to develop a deep love for my hometown, and I take pleasure in knowing what once was, and how it has impacted our town ever since. My first love was the Johnston-Felton-Hay House because of how deeply it captivates the viewer time after time. William Butler Johnston and his wife, Anne Tracy wed in 1851. Throughout their world travels and prolonged honeymoon, Johnston designed and managed construction of the great Italian Renaissance Revival house, formally known as The Johnston-Felton-Hay House. 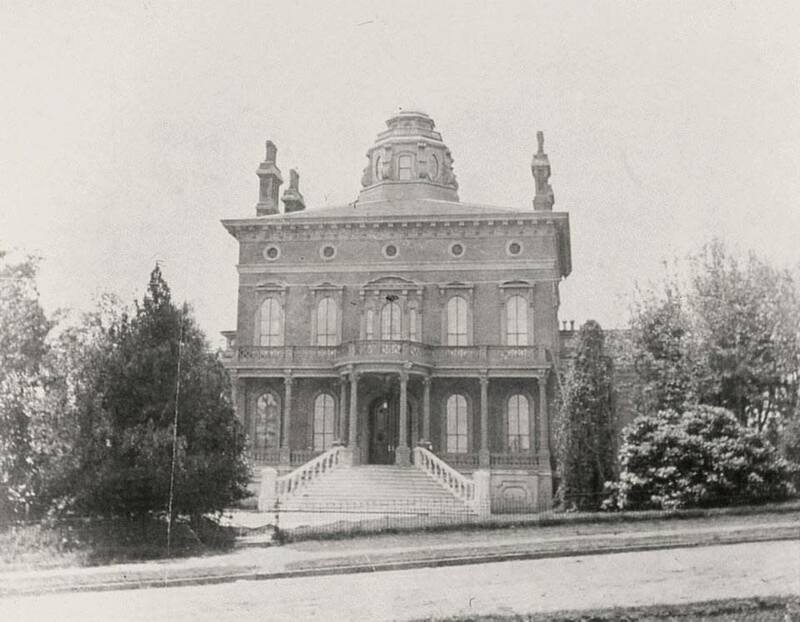 In 1855, Johnston recruited the most proficient workers of the time to create “The Palace of the South.” This Italian Renaissance Revival mansion was completed in 1859 and occupies 18,000 square feet, towering four levels high, and is completed with a two story cupola. 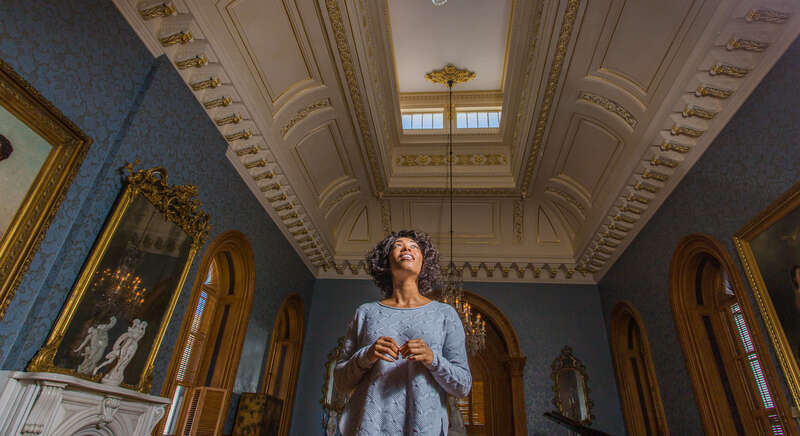 This beautifully crafted 19th-century mansion contains one of a kind marble statues, stained glass, and ornate furnishings and paintings. At the time of its fabrication, the home possessed more amenities than The White House, including three bathrooms with hot and cold water, bedrooms with large closets, a speaker tube system spanning through fifteen rooms, an in-house kitchen, centralized heating, and an intricate ventilation system for air-conditioning. 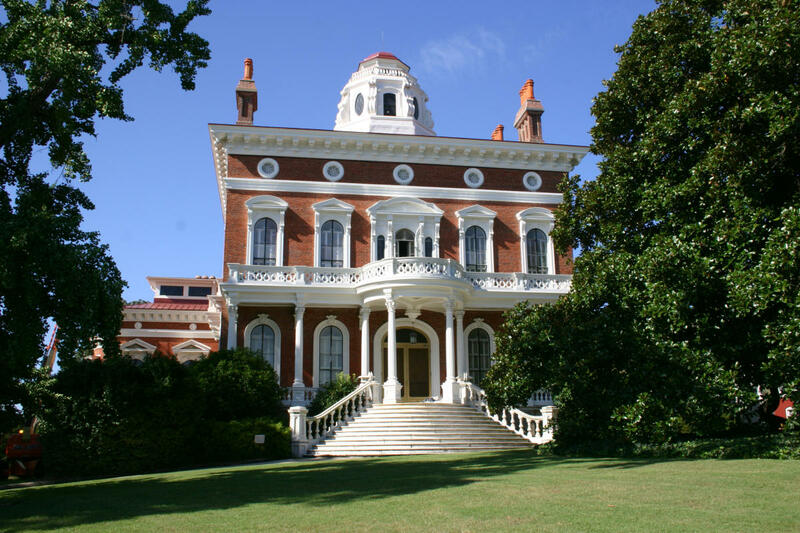 The Johnston-Felton-Hay House was ahead of its time and is noted as one of the highest achievements of antebellum residential architecture in the country. During the Johnston’s time at the home, they occupied the ground floor of the house, as stated by family tradition. The couple gave birth to six children, with only two surviving. Christmas was always celebrated at the home, while summer and early fall was spent at various northern resorts. During their time away, the house in Macon remained unoccupied and locked. William Butler Johnston died in 1887 after suffering from a long-term illness. Anne Tracy later died in 1896. Of the two surviving children, their daughter, Mary Ellen, and her husband Felton lived in the home. During their occupancy of nearly 30 years in the home, plumbing and electricity were added. The Feltons and their two sons remained in the home until 1926, when Mr. & Mrs. Felton died. In the winter of 1926, The Johnston-Felton House was listed on the market. Parks Lee Hay, long time president of the Bankers Health & Life Insurance Company in Macon toured the home. Soon after, Hay purchased the home. Hay, along with his second wife, Maude Saxon Murph, soon realized that the spectacular Italian Renaissance Revival Mansion was in need of imperil renovations and updating, since the Felton’s were ill for quite some time. Several updates and modernization took place, including an enhanced electrical system, updates to the plumbing and a gas fired furnace. In early 1927, the Hays hired skilled contractors to redecorate the house with new curtains, light fixtures, and valances. Mrs. Hay was known for being a skilled gardener. She soon hired a landscape architect to redesign the grounds of the house. In addition to the landscape enhancements, Mrs. Hay continued to make very lavish purchases to enhance the interior of the home. P.L. Hay died in 1957, and his wife died a few years later. The fate of the Johnston-Felton Hay House was questionable. The Hay’s daughter turned the home into a museum, with tours being given by the Hay’s long-term Butler, Chester Davis. In 1971, The Johnston-Felton Hay house was listed on the National Register of Historic Places. Following this monumental event, in 1974, the home was listed as a National Historic Landmark. The Hay’s soon turned the home over to the Georgia Trust for Historic Preservation. Hours of operation include Monday - Saturday 10 am - 4 pm; Sunday 1 pm - 4 pm. Tours are on the hour with the last tour at 3 pm.